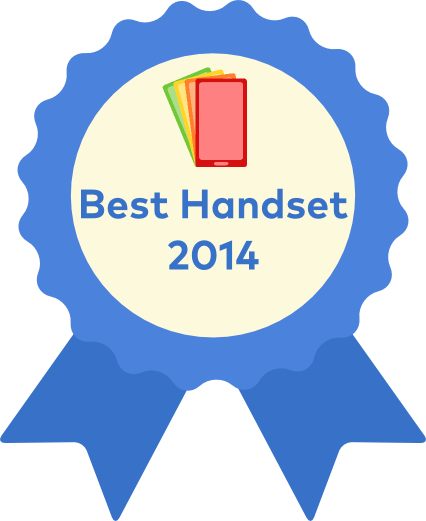 At HandsetExpert we've been keeping a careful eye on which phones released in 2014 are the must-have handsets. As you may know, in addition to finding the best deals for phones, we compile and collect expert and professional reviews from around the web for every notable new phone available to buy in the UK. From this information, we generate a score that captures the essence of critical opinion in one easy to understand rating. The rating for each handset is based on a weighted score from these reviews. Given the vast array of phone resleased in the last year, we're really pleased to see that the best mobile phones of 2014 have ended up covering a wide range of price points, from the budget Moto G up to Apple's new flagship iPhone 6 Plus. Ratings are accurate as measured in December 2014. 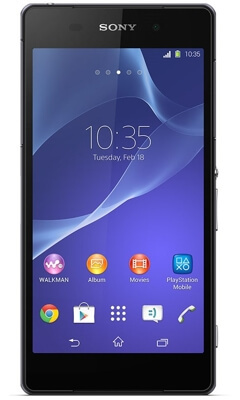 Released in the first half of 2014, the Xperia Z2 may have already been superceded by Sony's Xperia Z3 and Z3 Compact, but the Z2 can still hold its own. Boasting very similar specs to the newer devices (high-end processor, great screen, 20 megapixel camera, water and dust resistance), if you shop around you should be able to find the Z2 for considerably less than the most recent Xperias, making this a potentially great deal. Pros: Good build quality, great camera, improved screen, good waterproofing. 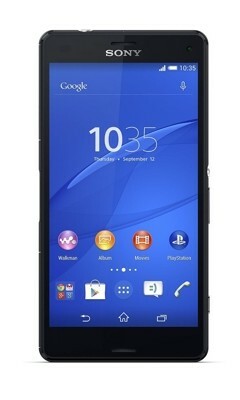 Cons: Feels bulky, hard to hold one-handed, too much extra software and bloat from Sony. The fifth iteration of Samsung's wildly popular Galaxy S range was launched in April 2014, and if you own a Galaxy S3 or S4, this will look and feel very familiar to you. 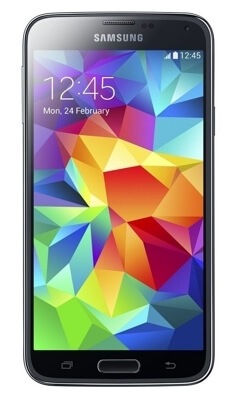 The Galaxy S5 crammed with top-range specs and more features than you could possibly use. Hardware changes and improvements include a state-of-the-art camera (16 megapixels and an impressive 0.3s autofocus time), a fingerprint sensor, 4k video recording and a heart rate monitor. All of this is encased in a plastic build that is both dust and water resistant. On the software front, the TouchWiz interface is more refined than previous versions, which many reviewers have enthused about. Critics were not so happy about the reliability of the new sensors though - the fingerprint sensor is not as reliable Apple's, and the heart rate monitor's use and value has been scrutinized. 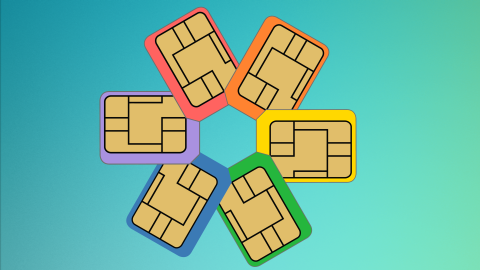 Whilst it's unlikely you'll want or use all of the new features the S5 introduces, it's safe to say there will be many things you'll like about it, and will be a great choice for many. Pros: Powerful specs, smooth performance, great screen, good battery life, improved interface compared to previous Galaxy phones. Cons: Cheap-feel plastic casing, unreliable fingerprint scanner. 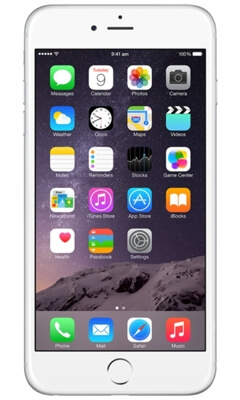 The iPhone 6 Plus is Apple's largest ever smartphone, and a welcome alternative to Android phablets. Existing iPhone users may be shocked by the look and feel of the new 5.5" screen. Android users may be tempted to try out the 6 Plus to see what they have been missing out on. If you are used to, or prefer, a bigger screen the iPhone 6 Plus may be right for you. If however, you want an iPhone but find the 6 Plus too large to be practical (or have been scared off by reports of the 6 Plus bending), the iPhone 6 is better suited to your needs. Pros: Large screen, great camera with optical image stablisation, great battery life. Cons: Lens protruding out of case, potential bending issues, cost (especially for the 128GB version). The 4G enabled version of the original Moto G, released in early 2014, shows precisely what a budget phone should be all about. 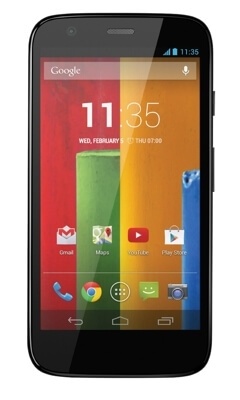 Priced at about a quarter of most high end flagship handsets, praise for the Motorola Moto G has been universal. Whilst from a pure hardware and specification point of view it understandably doesn't quite compete with other top of the range handsets, it's still an excellent phone. Reviewers enjoyed the interchangeable cases, and liked the overall style and design of the handset. 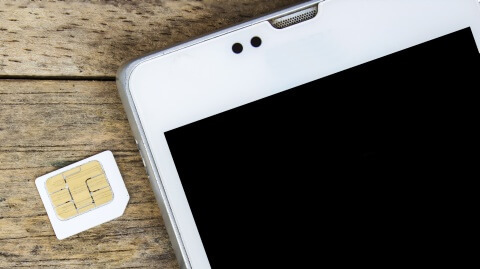 Add a memory card slot and 4G capabilites to the mix, and this is a no-brainer if you're looking for a great phone on a budget. Pros: Extremely affordable price, interchangable back panels, great design, good performance, quick software updates. Cons: Underpowered compared to flagship phones. 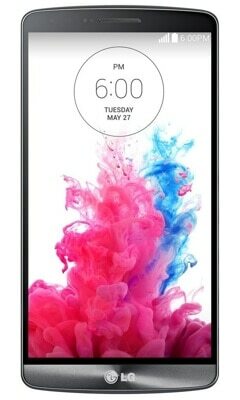 The immediate standout feature of LG's flagship handset of 2014 is the stunning screen - sporting a stunning Quad HD display, it dominates the slim-bezelled front of the phone. The screen isn't the only thing that sets this phone apart from its rivals though. LG has retained the unique rear button placement first introduced with its predecessor, the G2. KnockCode is a new facility that lets users unlock the device by using a combination of taps on the screen. The main 13MP camera comes equipped with an infrared laser focus system which allows the camera to focus extra quickly. Another interesting little feature is the 'Flash for Selfie' which reduces the size of the preview screen when taking a picture and adds a bright white background allowing for better lighting. 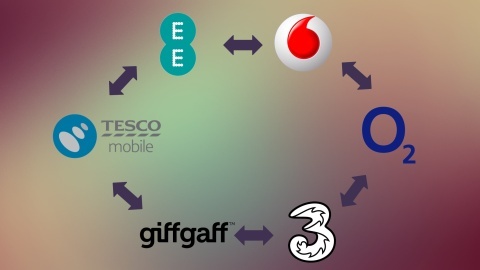 All these innovations have meant that by and large, the G3 has been a resounding success. The biggest criticisms were about the drop in battery life - still very good compared to contemporary phones like the HTC One (M8) and the Galaxy S5, but not matching the longevity of the G2. Nonetheless, this is definitely a phone that stands out. Pros: World-leading screen, good camera, powerful performance. Cons: Battery life shorter than expected. The latest flagship phone from Sony only builds incrementally on the excellent foundation laid by the Z2, but the differences have made for a better phone and experience overall. The curved metallic edges of the Z3 make the phone nicer to hold, and the battery life has been improved with Sony promising two full days of life from a single battery charge. The camera is also slightly better, with little additions such as a 4k video mode. If you want a no-compromise phone, this is one of the very best to get. 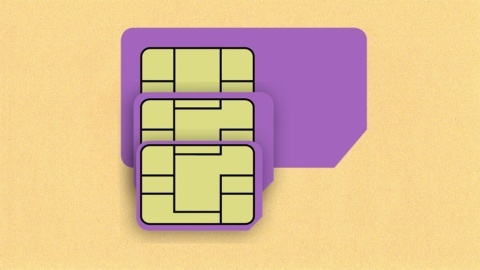 If you prefer something a little smaller, then you should seriously consider the nearly identical Z3 Compact. Pros: Premium specs and performance, excellent screen and camera, PS4 gaming compatibility, good battery life. Cons: The flaps that conceal charging port and memory slot can be fiddly to open, software added by Sony is unnecessary. The latest iteration of the Apple smartphone is very much 'on brand' as an iPhone. The obsessive attention to detail, high quality construction and seamless integration of hardware and software are all present, making the iPhone 6 an attractive upgrade for existing iPhone owners. 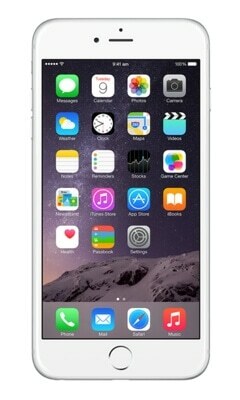 With a new 4.7" Retina display that offers a significant screen resolution improvement over the 5s, and a superior camera, the iPhone 6 is a worthy upgrade to those coming from older versions of the iPhone - unless you want a bigger phone, in which case the iPhone 6 Plus may be more to your liking. 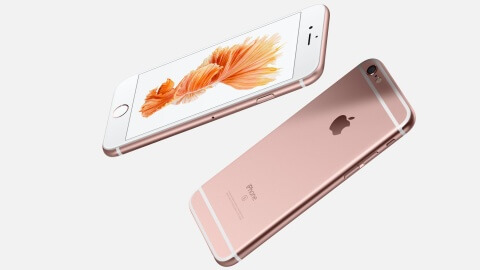 Pros: Powerful, excellent use of fingerprint sensor, great camera, typical Apple design. Cons: Expensive (especially for the 128GB version), Apple Pay not available in the UK yet. When most manufacturers release a 'miniature' version of their flagship phone, they also tend to make compromises with the hardware and the software, taking away some of the things that made the original versions appealing. The Xperia Z3 Compact does what all the other manufacturers should be doing - offering a high-end experince in a more compact form. 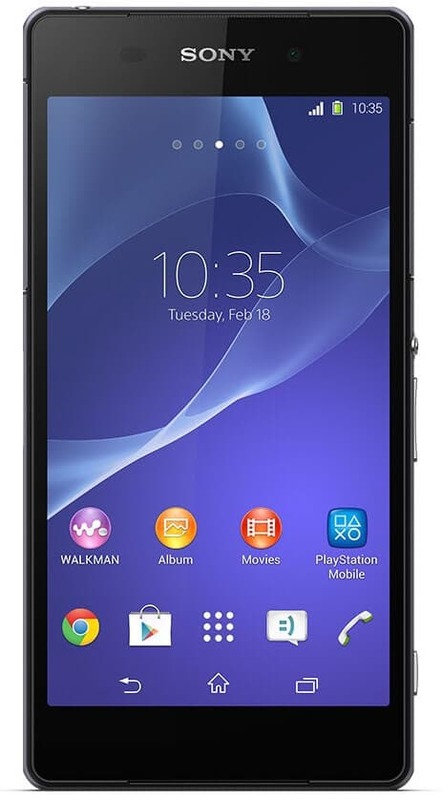 There have been virtually no compromises compared to its bigger sibling (the Xperia Z3). 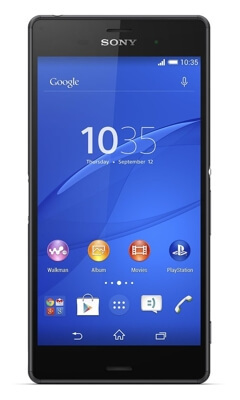 With the Z3 Compact, Sony has set a benchmark not just for mini-flagships, but for all handsets. For those of you who want a no-compromise phone that will easily fit in your pocket, the Xperia Z3 Compact is close to perfection. Pros: Premium specs, performance and build quality, great screen and camera, easier to hold and use than bigger phones, PlayStation 4 compatibility. Cons: Preinstalled Sony apps aren't that useful, Camera needs manual adjustment to get the most from it, screen resolution slightly lower than full sized Z3. Virtually everyone loves HTC's flagship Android phone for 2014. The One (M8) builds on what was loved about the original HTC One, and adds plenty of new features. Motion Launch lets you unlock the phone or launch functions by tapping or swiping on the display. On the back on the phone, the dual cameras allows for cool (albeit slightly gimmicky) effects; most notably the ability to select which objects in the picture to focus on. 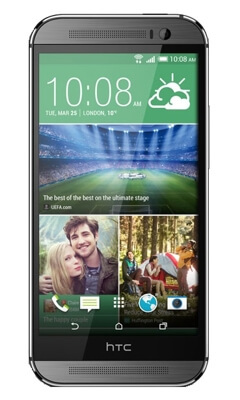 Features already present in the original HTC One have been improved on too; the outer body is now a more refined, solid smooth piece of metal; the BoomSound front facing speakers are better than ever, and the BlinkFeed news aggregator and Zoe short video creator have both been tweaked based on feedback. There's even a memory card slot now, allowing you to store more on your phone. The biggest criticism of the One (M8) has been about its camera - HTC has stuck with its 'Ultra-Pixel' philosophy, sacrificing pixel count for theoretically better pictures under poor lighting, and it hasn't won everyone over. 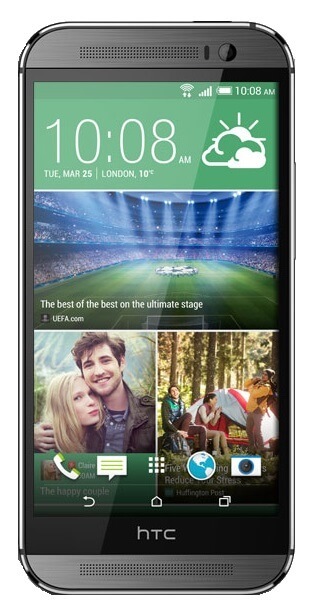 If you're willing to overlook that, the HTC One (M8) is a handset you'd be proud to own. Pros: Beautiful design, great screen, impressive sound, powerful performance. Cons: Inconsistent camera, no waterproofing. 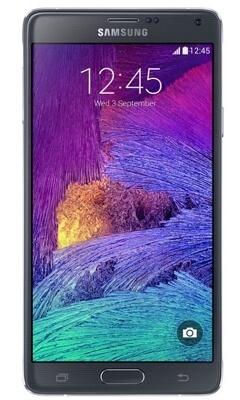 Samsung's Galaxy Note series has been the undisputed king of the large phone 'phablet' market, and the Note 4 continues this tradition of excellence, Much like its predecessors were when they were released, the hardware specs are amongst the best, including a 5.7 inch scren with Quad HD 2560x1440 resolution, high end processor and plenty of memory. But what truly sets the Note series apart is the S-Pen, the stylus that enhances the functionality of the device and allows users to write, sketch and draw on the phablet's screen. 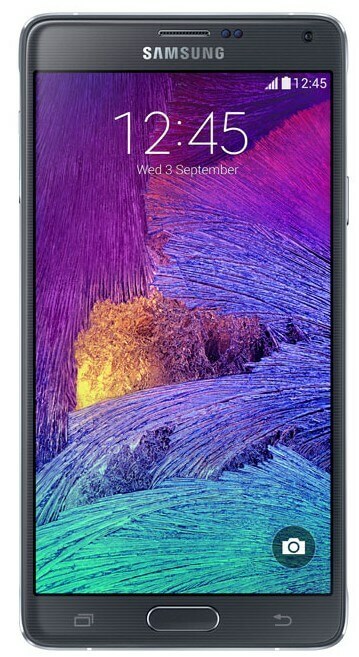 This combination of top-end hardware and innovative features won the unanimous approval of critics, and is why the Galaxy Note 4 is HandsetExpert's highest rated phone of 2014. Pros: Excellent battery, display, performance and camera, great use of S-Pen stylus. Cons: Relatively expensive, plastic rear, large size means that it's not for everyone. What do you think about the top 10? Do you think the Galaxy Note 4 deserves to be at the top? Upset that an iPhone isn't number 1? Livid about no Windows phones being in the chart at all? Let us know on Facebook, Twitter or Google+. 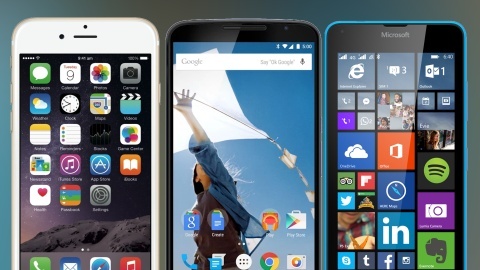 Guide: iOS, Android or Windows Phone: Which mobile OS is best for me?